With a great love for Animals and in particular the care for animals I decided that I too wanted to work with them. With a back ground in Nursing, Health Education and Occupational Health and safety this was a big change for me. But I was ready for the challenge! From the early days of training through to working with other groomers and continued grooming education, combined with hard work I have been able to grow a successful mobile dog grooming business in Melbourne’s South East in just a few years. I like to keep up with the trends of the industry and enjoy learning new skills and industry techniques. 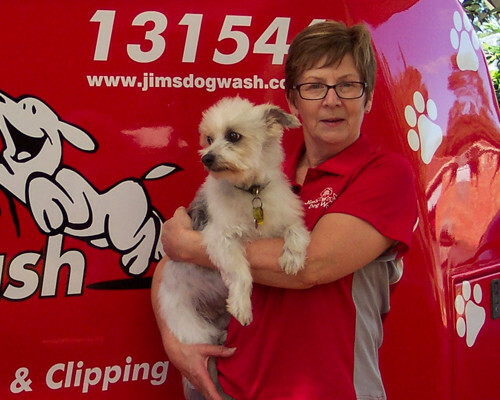 So if you live in Berwick 3806 and your dog needs a bit of TLC, for a great service call Jim’s Dog Wash today on 131 546 to arrange for Trish to get in touch with you.